Work environments have a direct impact on work quality. They make an important contribution to motivation, success, inspiration—and employer branding. Provided, that is, that they’re designed in harmony with a company’s work culture. 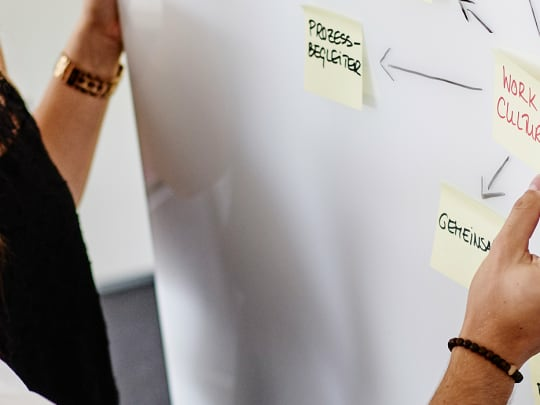 This is where we come in: Working closely with companies and our partners /[from specialist retail and organisational consulting/], we identify the characteristic features of their work culture and ensure they can develop their full potential. With room systems, furniture and aesthetically appealing style collections, we support you every step of the way, ensuring continued success. Especially in times of change. A work culture can only be understood if you know the entire story. In the new edition of “WORK CULTURE” we take an in-depth look at work cultures and what that means. 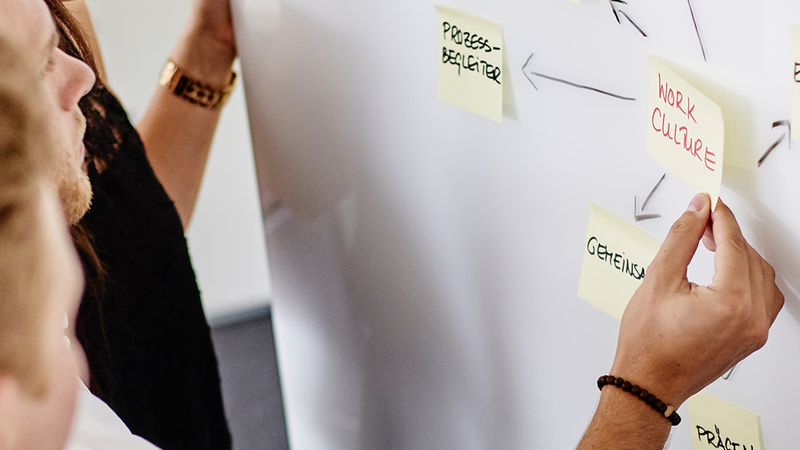 Which features are characteristic of New Work and how can you discover and analyse the work culture in your own company? What cultural differences are there in the European countries and how important is the “Made in Germany” aspect these days? 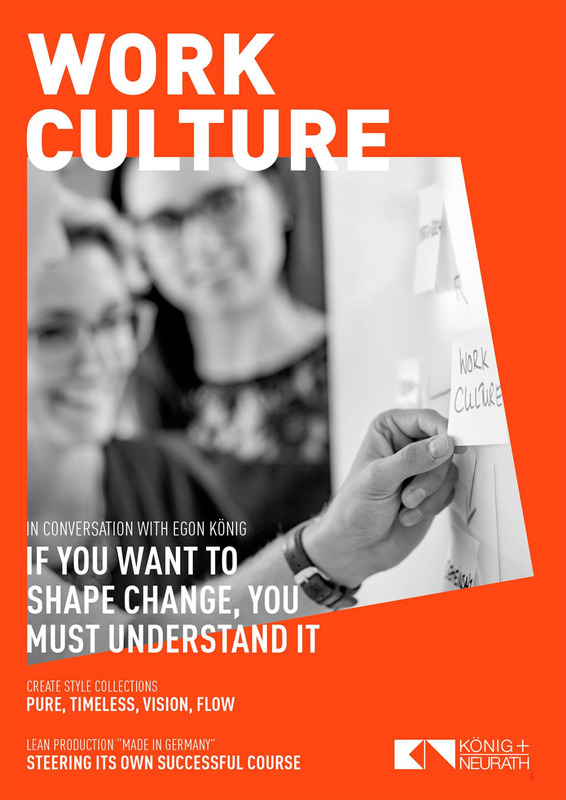 "WORK CULTURE” provides insight into our work, publishes an interview with Egon König, and inspires you to reflect the status your working environment deserves now, and especially in the future, in its design.